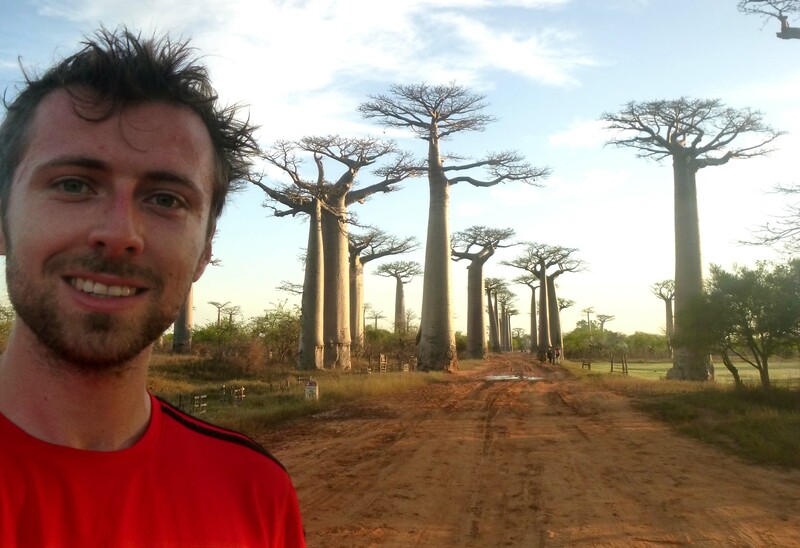 I had initially planned on running from the hotel (Chez Maggie) in Morondava, a coastal town on the west of Madagascar, to the Avenue des Boababs, a picturesque road lined with thousand years old baobabs. As a total fluke, this was exactly 21.1km long. However, the race marshalls [I] decided that, for health & safety reasons [didn’t want to die], the race should be shorter [so opted to live to tell the tale]. The simple reason was that I had been for a run the previous morning at 6.30am and almost died in the 30C heat and humidity. Therefore, the only way (for a slightly pale person from Scotland whose normal summer heatwaves are equivalent to the local wet season cold trough) to survive the heat was to leave at the crack of dawn and finish shortly after sunrise. 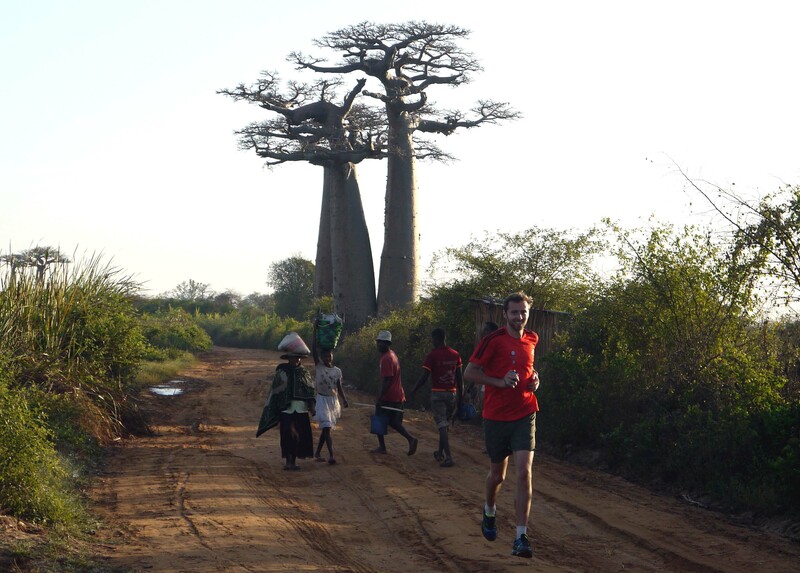 With this in mind, the inaugural “Avenue des Baobabs 10km run” was born! Getting there for 5am was another little logistical challenge when there is no public transport and few people have cars. However, through a cousin of a friend, we had our taxi ride sorted for a modest £10. To us, this meant nothing but, to the driver, this sadly represented almost 2 days’ standard income. The run itself was simple: 5km from the junction of the N35 and the N8 to the world famous site and back! 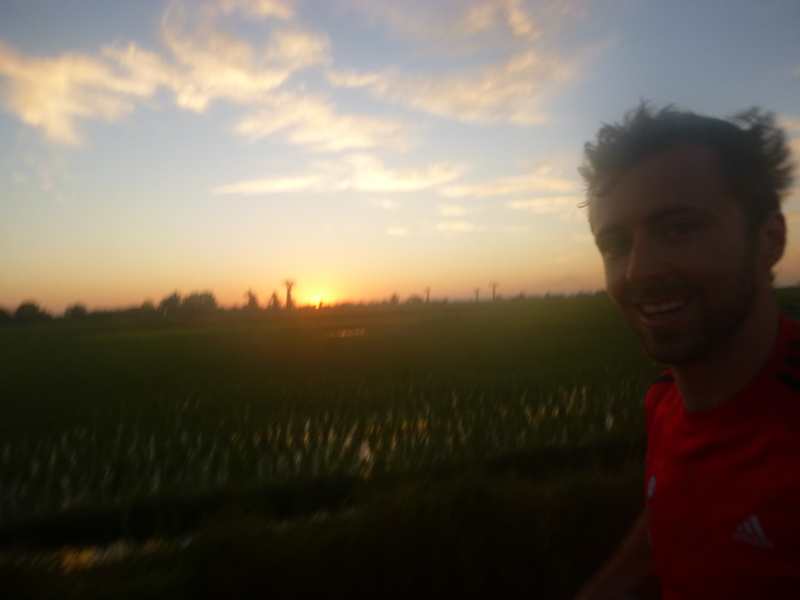 I set off just before the sun crept over the horizon, with the midst hovering up from the acre after acre of rice paddies. Amongst them proudly stood dozens of baobabs, some almost 2,000 years old and many more than 5m in diameter and 30m high. 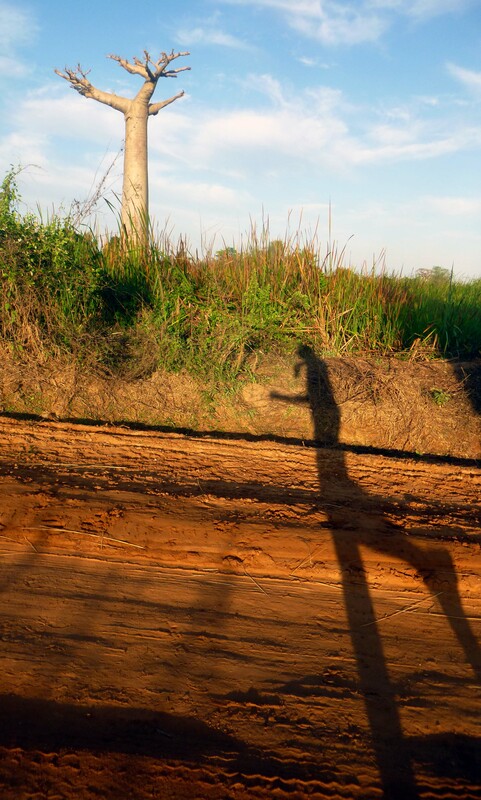 Running through … the middle of nowhere! What was missing, however (other than the 40% of original trees cut down), was any kind of other vegetation. 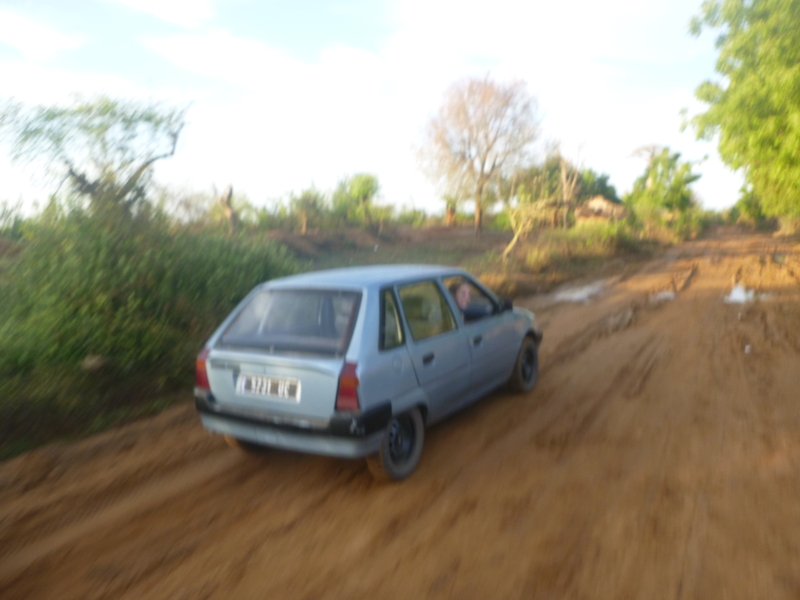 Deforestation is a sad fact of life in Madagascar across the entire country due to the extreme poverty with people cutting the forest down for building, fire wood and making space for rice paddies. 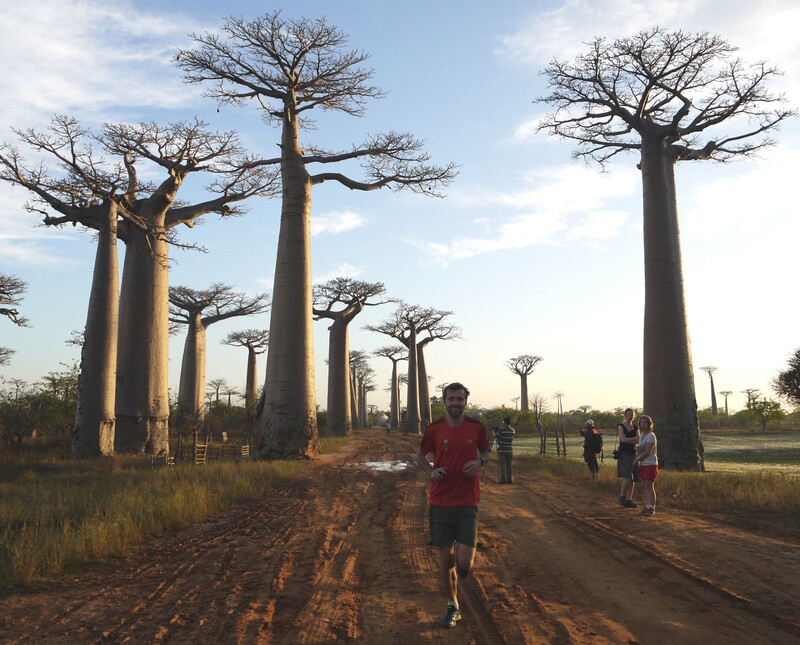 The resulting landscape is, admittedly, stunningly beautiful but the sight of baobabs sticking out like toothpicks on a plate of cheese canapés is unnatural and a sad representation of the effect of mankind on the environment. As a ‘treat’, here’s some modern technology for a change: a recorded snapshot of the run! As I ran towards the Avenue, I was cheered (or jeered – all I could understand was vahaza, which means tourist) on by some villagers, one of them even running briefly with me. A few dogs also decided to take part in the fun which was slightly more concerning! One of the bigger achievements of the day was that my “support vehicle” managed to follow me for the whole way, despite the constant mud and huge puddles caused by unusual rain a few days earlier. After a few photos at the Avenue, I spun around as the temperature was rapidly creeping upwards for the final 5kms …. or so I thought. A slight ‘misunderstanding’ with my support vehicle meant that I was ‘gifted’ an extra kilometre walk at the end of the race to meet up with them and get my hands on some water! Nevertheless, my head was full of indelible pictures of the sun rising over the baobabs and rice paddies and all was forgiven and forgotten!